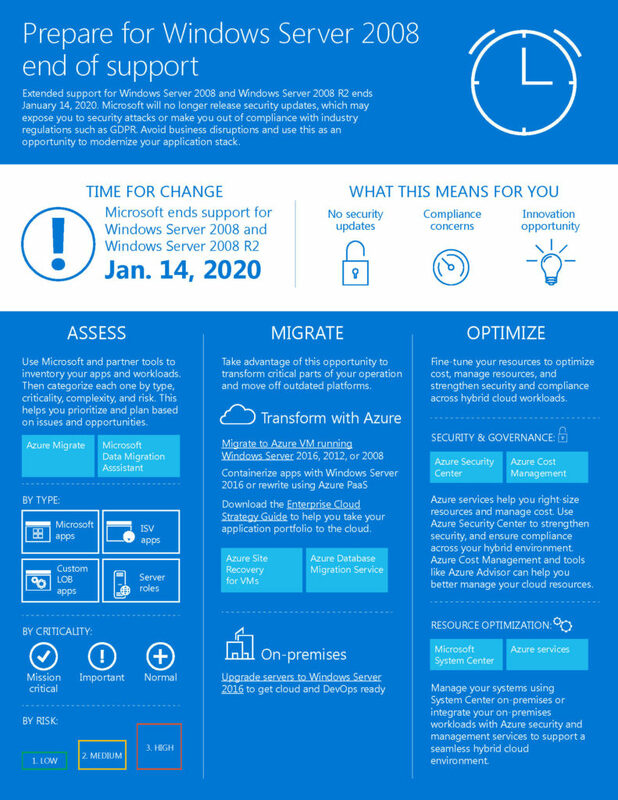 Extended support for Windows Server 2008 and Windows server 2008 R2 ends January 14. 2020. Microsoft will no longer release security updates, which may expose you to security attacks or make you out of compliance with industry regulations such as HIPAA, ITAR and GDPR. Avoid business disruptions and use this as an opportunity to modernize your application stack. If you have any questions or concerns about your current licensing, Contact us today!